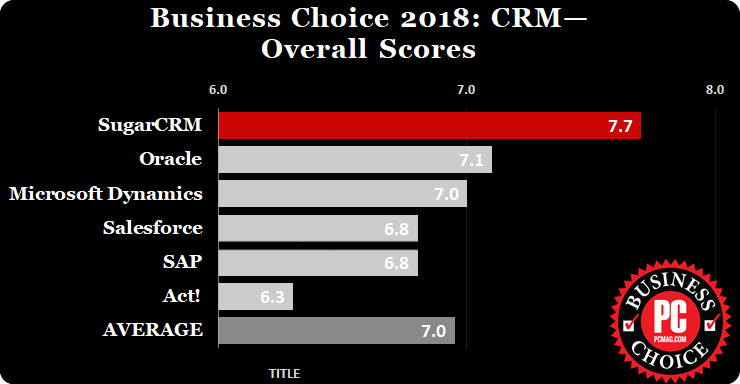 PCMag Business Choice Awards 2018: SugarCRM wins for the 4th time in a row! As always around this time of the year, the PCMag magazine shared their ranking of the best software solutions for professionals. The credibility of the final classification comes from the fact that it is the readers who decide about the outcome. Business Choice Awards, or basically PCMag Readers’ Choice Awards narrowed down just to the CRM topics is a prize awarded to those who help to build the strongest and most effective relations with the customers. It touches the matter of hardware requirements, functionalities, User Experience, administration, service, and support. The Readers’ Choice Survey was shared with the PCMag.com community as well as everyone on the PCMag subscription list. The survey was available from May 14th, and expired on June 4th, 2018. The questions relate to a subjective user’s opinion about their experience with a given CRM system in the last 12 months. PCMag readers were asked about their overall satisfaction with the system, its reliability, the form of support provided, and the likelihood of recommending the solution to other people. In this year’s edition of Business Choice Awards, 98 systems pretended to be the best, while only 6 of them obtained the minimum number of votes. The CRM market is quite mature, this is probably why the list of the finalist stays the same since 3 years ago. For the fourth time in a row, the top rank went to SugarCRM. 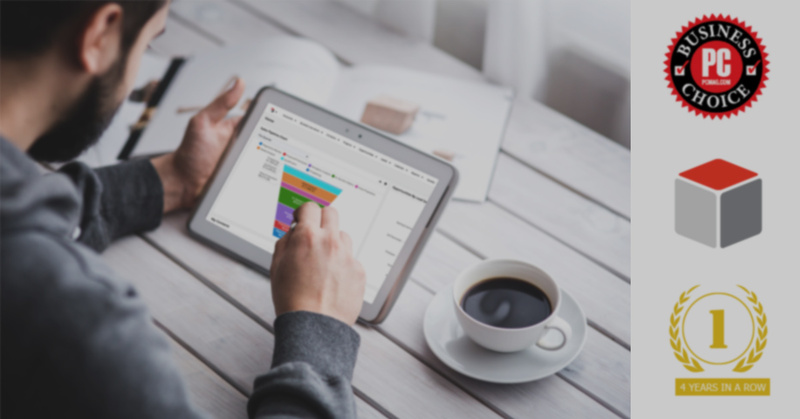 Sugar remains at the top of the PCMag’s list of the best CRM systems since 2015! The respondents gave Sugar a total score of 7.7. The reliability of the application they have evaluated for 8.4, and the probability of recommending the tool to other people for 8.5. Net Promoter Score was set at 61%. Net Promoter Score is a very popular indicator that examines the level of customer loyalty towards a given company, brand or product. Its value is determined based on the question: “How likely is it that you recommend the service/ product/ brand/company to your friend/family?”. Respondents give answers on a scale from 0 – I will definitely not recommend it, up to 10 – I will definitely recommend it. Respondents’ answers are classified into three groups: 0-6 – critics, 7-8 – indifferent, 9-10 – promoters. NPS is obtained by subtracting the percentage of critics from the percentage of promoters. In the PCMag’s survey, the Sugar software was the only clearly recommended CRM solution. For comparison, Microsoft Dynamics obtained only 33%, SAP – 28%.